Retirement planning becomes especially important in the light of inflation. The challenges are several, for one, we will need more and more money. 1992 was a significant year in Sanjay’s life. That is the year he got married to the girl of his dreams. Both of them were qualified professionals, ready to take on the world. Both of them worked hard with exceptional commitment to building the life of their dreams. They had an enviable lifestyle and could give their children the best of almost everything they wished for. Cut to 2017, Sanjay will be retiring in five years and his wife, a year hence. Their children are pursuing higher studies abroad and they live in their own flat in one of the choicest localities in Mumbai. Are they financially free? Well, not entirely. The EMIs on the mortgage loan for their beautiful home and the education loans that they took for their children’s higher education are still to be paid. He had earlier withdrawn a sizeable amount from his EPF for their undergraduate college expenses. He is sure that once their children settle in suitable jobs, they will take up the responsibility of repaying their education loans and perhaps even help him repay the hefty housing loan to release the mortgage on their home. One day in Zurich airport, as he was boarding his flight back to India, he stopped at a billboard that posed a thought-provoking question to busy travelers; it had only six words… “What if I live to 100”? Well, this is not an isolated story. It is, in fact, the story of many working couples who have slogged all their lives and are nearing their retirement. 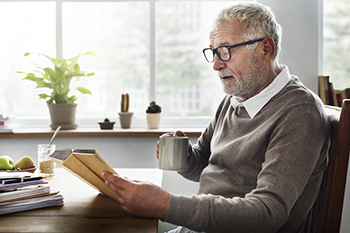 In the quest to maintain an upwardly mobile lifestyle and to offer a better future to their children, retirement planning often takes a back seat. In fact, a Max life and Nielsen study suggest that only 28% of the Indian working class have any voluntary retirement product in their kitty. Most of the others are staring at the golden years, unprepared. Of course, the Indian psyche is that of ‘dependency’, with 50% of the population expressing a willingness to live with their children after retirement. But, who has asked the children if they are equally willing to live with and provide for their parents in their old age? Retirement planning becomes especially important in the light of inflation. The challenges are several, for one, we will need more and more money. The Indian economy has been grappling with inflation for more than two decades. The numbers from the Ministry of Statistics and Program Implementation are not encouraging either. The average inflation in the last decade in India is 8%. The pressing need of the hour, indeed, is a concerted focus to motivate people to start planning for retirement, as early as possible. The second challenge is that we will need this money for a pretty long time. UN reports point to life expectancy in India has increased by more than 10 years in just the last two decades, and this is going only one way – up! WHO statistics reveal that life expectancy at birth of 68 years in India two years ago is estimated to rise to 69 in 2017. While this seems like good news, what is worrying is the lack of adequate social security in our country. The National Health Service does not provide free medical services to all citizens. According to the National Sample Survey of India (NSSO), 85% of the rural population and 82% of the urban population in India have absolutely no health expense support. A retirement plan which also takes care of your medical expenses is thus essential. The third challenge is planning. Very often, people wait too long before they start saving for retirement. In fact, even if the wisest financial planner in the country suggested that the right time to start saving for your retirement would be when you get your first salary, most would shrug off the advice. A person who starts investing Rs 5,000 monthly at the age of 30, continues to invest the same amount till retirement, will have a healthy retirement corpus of over 50 Lakh. Compared to another person, who starts at 45 and continues to invest Rs. 5,000 per month for the next 15 years, will have a corpus of around15 lakhs only 60 years. That is the power of starting early! The fourth challenge, don’t make your and your spouse’s retirement corpus fungible with other seemingly important expenses. It should not be used for the needs such as children education or marriage. Don’t dip in your retirement corpus to increase budget for these expenditures as you may not have enough time to rebuild your retirement corpus. Hence, prudent financial planning is as much about starting early as it is about staying disciplined and exercising self-restraint to ensure that you leave your retirement corpus untouched until you actually retire. So, get started today. The first step isto estimate the retirement corpus you would need and to compute the approximate amount you can set aside every month. A plethora of retirement fund calculators are available on the internet. Take your pick. But start now. Undoubtedly, investing regularly and staying invested will go a long way in ushering in and embracing your golden years with open arms. The author, V Viswanand is Senior Director and Chief Operations Officer os Max Life Insurance.